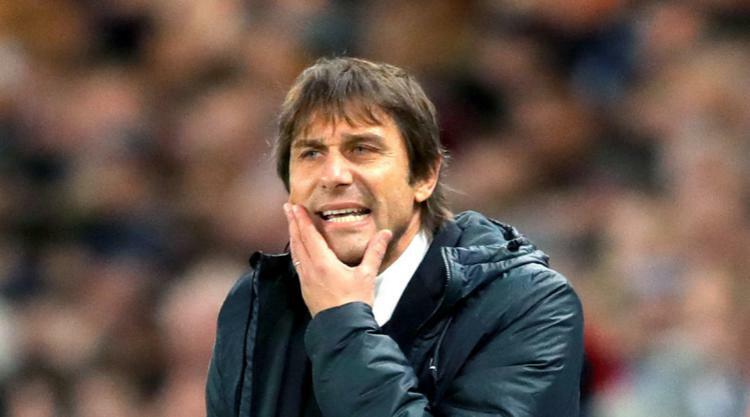 Chelsea head coach Antonio Conte reckons any side with aspirations of Premier League title glory is running out of time, even if Manchester City slip up. The Blues boss says he is being realistic in suggesting his third-placed team are out of title contention. City have an 11-point lead over second-placed Manchester United and a 14-point advantage over Chelsea in third. The Blues have dropped just four points in the last nine games, in the draw at Liverpool and loss at West Ham, as City have increased their lead. Conte said: "When I speak, we must be realistic. In the last nine games we won seven games, drew one and lost one. And the distance, the gap, improved for Manchester City. "Time is moving on. They are continuing to win." Conte knows what it is like to have a long winning run. He led Chelsea to a 13-match victory sequence en route to winning the title last season. The Italian says City have benefited from signing their first-choice targets, plus a bit of luck in the latter stages of games, including against Southampton - Chelsea's opponents on Saturday. "During the transfer market they reached their first targets and they created a great team," he added. "Manchester City is building a strong team to lead in Europe and the world. To have these 15 wins in a row, also you must be lucky, because in many games they won at the last minute or five minutes to go." Striker Alvaro Morata was Chelsea's marquee signing last summer, as a direct replacement for Diego Costa, who left for Atletico Madrid. Morata is available again after missing Tuesday's win at Huddersfield with a back problem and due to fatigue. Defender David Luiz (knee) remains out. Spain striker Morata, signed for an initial Â£58million from Real Madrid, told the in-club magazine this week that he has been watching footage of Didier Drogba, who scored 164 in 381 appearances across two spells. "Two different players, different characteristics," Conte said. "Didier Drogba, I think, he wrote the history of this club. He's a wonderful player, a wonderful striker. "I think he's more powerful than Alvaro, but Alvaro, don't forget, has a lot of space for improvement. "He's strong physically, is a technical player. I see a great future for Alvaro." Conte has rebuffed questions on the January transfer window in recent weeks, saying it is too early. And he spoke of his primary coaching responsibility when asked about recruitment again on Friday. "I stay here to work. I'm a coach," Conte said. "For the transfer market, there is the club. I can give my opinion to my club, but the last word is of the club." Conte is wary of Southampton, who lost 4-1 at home to Leicester on Wednesday and are now winless in four games. "To find Southampton in this position, I'm a bit surprised. Their potential is more than this," Conte added. "I would prefer that Southampton had won the game against Leicester instead of losing in this way. "This team are very strong. They're a good team. The players are very fast. "(On Saturday), my expectation is to suffer. I have this sensation. We must pay great attention."